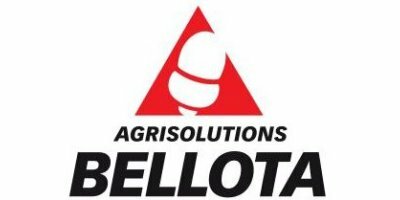 Bellota Agrisolutions Manufacturer of spare parts for agricultural machinery. It specialises in spare parts for agricultural machinery for soil preparation and seed sowing with the widest range available on the market that includes from sowing discs to cultivators, decompactors, discs and ploughs. Product quality is acknowledged worldwide because of the special Bellota Borodur steel. Current 'Corporación Patricio Echeverría' is the result of a century of work, innovation, adaptation and internationalization started by Patricio Echeverría Elorza grown in the culture of steel during the industrial revolution. Born in July 9, 1882 from a humble family in the town of Legazpi (Spain), Patricio stood out at 15 years of age as an applied and adventurous youth that learnt quickly and well the forgery works. When he was 18, he moved to Mondragon to work in the Vergarajauregui, Resusta and Company Workshops while he also visited other installations to broaden his knowledge about the manufacturing of steel. In 1904 he decided to establish himself in Legazpi under the name of Taller de Herreria Patricio Echeverria. Receiving small orders, like the balcony for the town hall and other buildings in Legazpi allowed him to continue with the business and, fruit of his dedication, in 1906 he registered first patent in Madrid for the manufacturing of a sheet steel rake and a hoe. Patricio Echeverria faced the challenge that many young entrepreneurs face when they have an idea: obtaining financing. 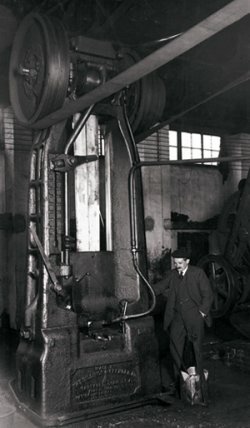 The small workshop required an investment to become a factory and to install the necessary technology in order to produce patented rakes and hoes. At the early age of 26, firmly convinced of the promising future in the manufacture of farm machinery, Patricio creates Segura, Echeverría y Cía, convincing the businessman Pedro R. Segura and another two partners, Romualdo Echeverria Orueta and Prudencio Guereta Irazabal. With 12 employees, he mainly manufactured hand-tools and carried out forging and repair works for other neighbouring companies. Nevertheless, from the start he assumed that he could produce sufficient so he could attend to and stimulate the markets far from Urola and, therefore, he very soon specialised the production developing different models of tools according to the different needs of each region in the peninsula. That way his expansion started. He studied the markets and travelled searching for the best technologies and competitive advantages to maximise the excellence of the product and client service. Entrepreneur and with an advanced character, Patricio Echeverria understood very well the importance of creating a brand, and of the constant work needed to maintain it. That is the only explanation that the Bellota trademark continues being a referential trademark of the market. Nowadays the Coporation Patricio Echeverria is undergoing a transformation process for growth through a culture open to change and the needs of the client. In Bellota, our vision is to be world-wide leaders in our sector: agricultural machinery like plow, harrows, cultivator, ecological plow, sowings machine and combine harvesters of sugar cane. In Bellota, our vocation is to be the preferred supplier of the manufacturers of agricultural machinery at world-wide level, of spare parts for all type of agricultural machinery, offering in a proactive way solutions to incorporate a differential Engineering and excellent service. The philosophy of this company strongly marked by its founder, a person of beliefs and values, determined a way “to make the things”, honest and responsible. All our products for agriculture are elaborated under that responsibility to fulfill the commitment, and made Bellota made dangerous and ambitious decisions like the one that of the creation of a steel mill that guaranteed the supply of raw material. Con nuestros recambios para maquinaria agrícola, continuaremos reaccionando al entorno, y tomando decisiones estratégicas, que nos permitan cumplir con nuestra responsabilidad en cualquier lugar del mundo, y garantizando nuestros productos, “de por vida”. Es por eso que más de 250 fabricantes de maquinaría agrícola del mundo confían en Bellota. Our concern over the development of knowledge and use of new technologies and management tools drives our daily activity. We rely on solid technical knowledge and on markets that allow us to innovate traditional ranges and make further developments. Our RDI centre works on providing new processes, improving raw materials and constantly achieving better results according to our users’ needs. Our commitment is to be the best help for customers and users with quality tools and solutions, ethics and respect for the environment. We are committed to the environment through responsible waste management and the use of wood from well-managed forests. We are committed to quality in management and in processes.In 2012, we were award the Gold Q for quality management. We are committed to promoting teamwork and active participation of all in continuous improvement programs.